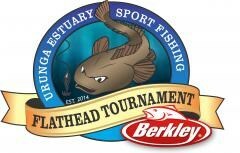 Hi and welcome to your online entry into the 2018 Berkley Urunga Estuary Sport Fishing Flathead Tournament. Now in our 5th year, the Tournament has officially earned a permanent annual place on the calendar. 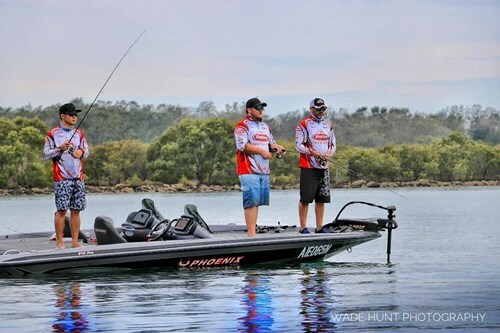 Anglers from far and wide are eager to come back to the picture perfect tranquil coastal town of Urunga to participate in this fun well run event. .... The picturesque town of Urunga located at the mouth of the Bellingen and Kalang Rivers provides a quiet and relaxed atmosphere, in an area that is known for great all year-round climate, beaches and tranquil rivers. Not to mention some of the best fishing the NSW North Coast has on offer. And only a short 15min drive south of Coffs Harbour. Once again in 2018, you will see a few exciting aspects of the Fishing Tournament including the "TEAMS' categories which made its debut in 2015, making this event even more fun for you and your mates. Our goal has and always will be to provide you with the best value for money fun Fishing Competition you can participate in. So we have put together along with our Sponsors some absolutely mind blowing gift packs for the first 300 competitors to register and pay before the weekend of the Tournament. "If you are one of the first 300 people to purchase your ticket, you will receive your gift pack during the event briefing"
And don’t forget, your entry automatically puts you in the Entrant OnlyRandom Raffle ! We are striving for this to be more than just a fishing competition, and are building on a already great reputation amongst the fishing community with our Major Prizes awarded via a Entrant Only Random Raffle. The success of our past competitions is allowing us to raise the stakes every year, and by that we mean, better prizes and more of them in our Entrant Only Random Raffle. 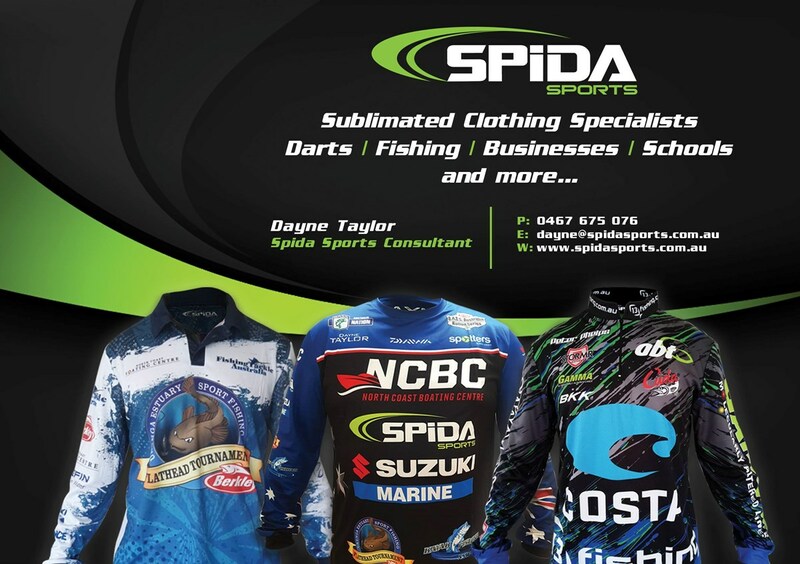 That’s right the bar has been raised, and we have together with the help of our Sponsors put together a massive Prize Pool including an awesome Boat Motor and Trailer Package valued at around $9,000.00rrp supplied by North Coast Boating Centre Urunga for the last ticket drawn out of the barrel. 1. This is a catch and release Tournament only. All species must be released alive. 2. Artificial Lures and Flies are to be used only. Under no circumstances are dead baits or live baits to be used. 3. No burley is to be used. Commercial scents and attractants are permitted to be applied to lures and flies. 4. All Flathead and by-catch species of NSW DPI Fisheries legal length must be photographed with a digital camera with a blank removable SD card or a mobile phone with a blank removable SD card. "NO Go-Pro/Action Cam Images excepted in 2017". These pictures must be made available to the Tournament Committee Officials upon request. 5. All fish noted on your “OFFICIAL SCORE SHEET” must be photographed on top of your SoftGaff AccuMat (Supplied at registration) clearly displaying your Angler ID Tag and clearly displaying the length of the fish. 6. All anglers must keep photos taken until the end of the tournament. In case of a count back, photos must be submitted on request. If no photos can be produced upon request at any time during the Tournament all points claimed will be invalid. 7. No gaffs to be used to assist in landing any fish during the Tournament. We recommend the use of Fish Friendly Enviro style landing nets. 8. The Tournament is open to all line classes. Cast and retrieve or trolling is permitted. Only 1 rod to be in play at any 1 time by a competitor. 9. The Tournament’s Fishing Boundaries are both the Bellingen River and the Kalang River, and not out any further east of the end of the Southern Rock Wall in the Urunga River Ocean Bar Crossing. 10. The Tournament is open to all Anglers wishing to fish from within a Boat, Kayak, and Canoe and or also fish from a Land Based location within the boundaries. 11. All Anglers are to abide by all local RMS Maritime and NSW DPI Fisheries rules and regulations. If officials are made aware of a competitor not abiding to RMS Maritime and NSW DPI fisheries rules and regulations by authorities, that particular competitor may be disqualified depending on the severity of the offence. 12. Protests of any nature must be bought to the attention of the Tournament Committee Officials before the end of the day of the incident. 13. All decisions made by the Tournament Committee and Officials concerning rules, prizes and trophies are final and no further correspondence will be entered into. 15. Again in 2018 you will have the option to nominate as a 2 or 3 person Team at the registration BEFORE the briefing on Friday the 9th from 5.00pm at the Tournament HQ, you will need a Team Name so please have something in mind beforehand. Your team can be made up of either all juniors and Adults or a mix of both juniors and Adults. Entering as a Team means you must always be in eye sight of your other Team members, it is NOT a requirement to fish in the same Boat or Kayak, just stay within eye sight of each other. 16. Points and Trophies – Points will be awarded according to our sliding scale. Examples: 36cm Flathead = 36 points. 50cm Flathead = 77 points. 80cm Flathead = 354 points. There is no maximum number of fish to be entered over the course of the Tournament. All undersize Flathead (Under 36cm) will be awarded 5 points each. All other by-catch species that are of NSW DPI Fisheries legal length will be awarded 5 points each. Trophies will be awarded to the Champion Angler of each of the 4 divisions, this will be decided by the highest total score over the 2 Tournament days. The Biggest Flathead Perpetual Trophy will be awarded to the angler from any division with the longest Flathead over the 2 Tournament day’s and will stay with the club whilst the angler will be awarded a separate trophy to take home. 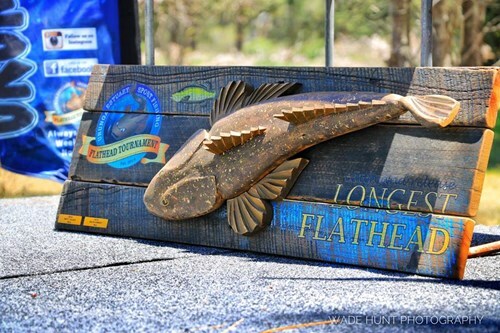 Three individual Trophies will be awarded for the longest Flathead caught on Soft plastic/Hard body/Fly. Trophies will also be awarded for the 4 longest random By-catch Species chosen by the Tournament Committee before the presentation on Sunday. The Winning 2 and 3 person teams will be awarded individual trophies, the winning 2 and 3 person team will be determined by the most amount of combined individual points over the 2 Tournament days. 17. The Official Tournament Head Quarters “Tournament HQ” is the Urunga Sailing Club, water side behind the Urunga Golf Course on Atherton Dr, Urunga. 18. The Tournament will operate under official session times and days. All Anglers entered in the Tournament must be present at the Official register and Briefing on Friday the 11th. Registration begins from 5.30pm and the briefing will get under way at 7.00pm held at the “Tournament HQ”. All tournament Anglers must collect their Angler ID Tag’s prior to the official session start time in both Saturday and Sunday session’s from the “TOURNAMENT HQ”, all Angler ID tag’s must be returned to the “Tournament HQ” by the end of the official session times on both Saturday and Sunday session’s. Saturday the 12th session starts at 6.00am and all Anglers must be back at the “Tournament HQ” by 7.00pm with their Angler ID Tag’s, Digital SD card and “OFFICIAL SCORE SHEET”. Sunday the 13th session starts 6.00am and all Anglers must be back at the “Tournament HQ” by 12.00 noon with their Angler ID Tag’s, Digital SD Card and “OFFICIAL SCORE SHEET”. 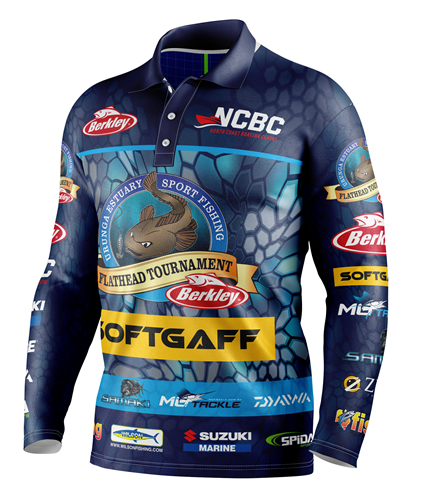 ALL TOURNAMENT SCORE SHEETS AND ID TAGS MUST BE RETURNED BY THE ANGLER WHO’S NAME IS ON IT, OR YOU WILL BE DEEMED FORFIT AND DISQUALIFIED, unless prior notification is given to the Committee Officials. 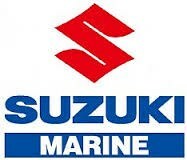 Sunday afternoon Presentation and Random Raffle Draw will commence from approximately 1.30pm at the” TOURNAMENT HQ“allowing Tournament Anglers time to load boats onto trailers etc. 19. Anglers may collect their ID Tag from 5.00am at the “TOURNAMENT HQ” and travel to a location in the river via Boat/Kayak/Car/Foot, but must NOT cast a line or begin fishing before 6am. 20. We recommend that you do not Pre-Fish during the week before the competition as the fish are expectable to "Boat Traffic" and "fishing pressure" and will "shut down" so to speak. This is a small estuary system! 21. By purchasing your entry, you agree to become a temporary member of the Urunga Amateur Anglers club. Therefore being covered under the clubs insurance whilst participating in this event. 2. Only participating Tournament Anglers are in the Random Raffle Draw. 3. All Angler ID Tags of Tournament Anglers will be placed into a barrel, mixed and then drawn out of the barrel. 3. Failure to be present within 60 seconds of your name being called will result in disqualification and the prize will be re drawn from the names in the barrel. 4. Prizes won by a participant will not be swapped or credit given. 5. All prize winners are required to stay for a photo with their prize. 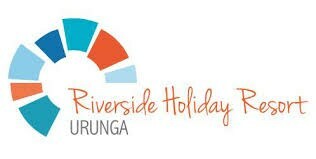 The Urunga Anglers Club along with the Urunga Lions Club will be selling a BBQ Dinner on Friday Night and Sunday Afternoon, and also Breakfast both Saturday and Sunday morning from 5am. There will also be a Coffee Van on site for you to purchase a nice quality coffee from 5.00am.